Francis Ngannou was down after two straight losses but he’s back in a big way after demolishing Curtis Blaydes in just 45-seconds in their main event rematch at UFC Fight Night Beijing. 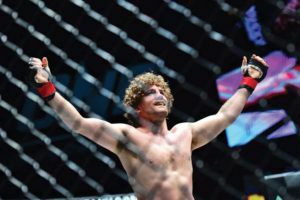 Going into the fight, Ngannou had to view the matchup against Blaydes as a do-or-die situation after a lopsided loss to former heavyweight champion Stipe Miocic and then a truly bizarre outing in July when he dropped a unanimous decision to Derrick Lewis. Despite beating Blaydes just over two years ago, Ngannou seemed like a sizable underdog going into the fight but that all changed with one thunderous right hand. After shrugging off an early takedown attempt from Blaydes swooping in from the outside, Ngannou launched an overhand right that came down like a sledgehammer on his opponent’s head. Blaydes hit the deck face first and for a moment it appeared Marc Goddard was going to stop the contest but he backed off and allowed the fight to continue. Ngannou (12-3) kept the assault going with another brick like punch that dropped Blaydes for a second time. The hard hitting Cameroonian continued to pour on the punishment until Goddard finally saw enough and stepped in to stop Blaydes (10-2) from absorbing any further damage. The TKO stoppage came at just 45 seconds into the opening round. 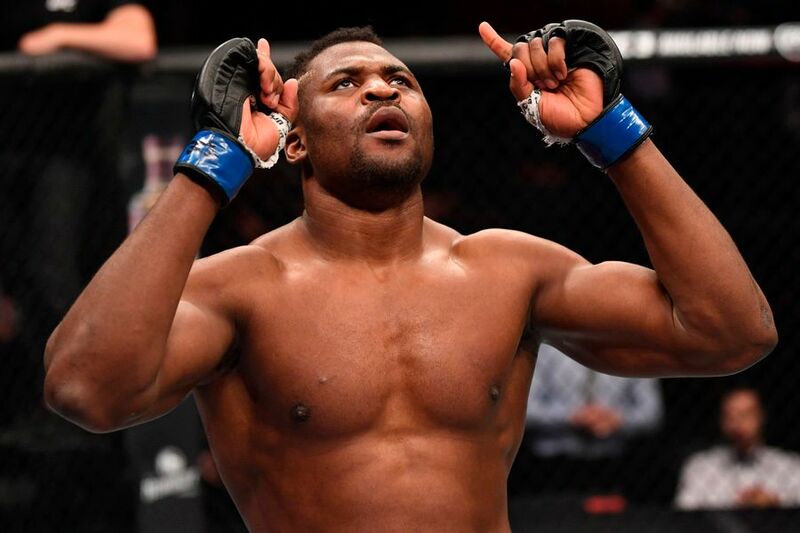 Following his huge victory, Ngannou wasted no time looking ahead towards his next opponent as he called for a trio of potential fights against Junior dos Santos, Alexander Volkov and a long desired rematch against Miocic. Whoever he faces, Ngannou proved a lot of doubters wrong with his performance on Saturday as he finished a top three ranked heavyweight in less than one minute and put his name right back into contention for the title. Following a tough two fight losing streak, Alistair Overeem (44-17) got back on track with an emphatic finish against Russian newcomer Sergei Pavlovich (12-1) in the co-main event from Beijing. To help his return to form, Overeem traveled to Denver, Colorado to begin working with headliner Curtis Blaydes, who had just defeated him earlier this year. The former opponents turned training partners helped each other get ready for the same card and the results obviously paid off for Overeem. As the fight got underway, Overeem was patient with his striking combinations while not giving Pavlovich any big openings to return fire. Overeem showcased some of his classic kickboxing techniques as he engaged in the clinch early, firing knees to the head and body and then out maneuvered Pavlovich as they battled for position against the cage. Once he knew the kind of power his opponent possessed, Overeem pressed forward and tossed the Russian to the ground and Pavlovich would never get up again. Overeem was quick to shred the Russian’s defense and that’s when he threw a hellacious right hand that absolutely blasted Pavlovich on the chin. As soon as the punch connected, Pavolovich covered up and turned to the side, which was more or less a signal for Overeem to open the floodgates with a relentless barrage of punches until the referee rushed into stop any further damage from being done. The end came at 4:22 in the opening round and Overeem was short on post fight comments — but the point was made following an incredibly important win for the former heavyweight title contender. “The Reem is back!” Overeem shouted before leaving the Octagon. Despite a valiant effort from late notice replacement Vince Morales (8-3), Song Yadong (14-4) moved to 3-0 in the UFC while going to decision for the first time inside the Octagon. 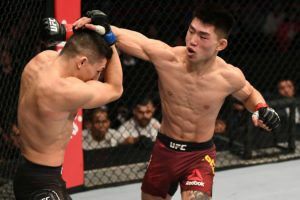 Song, who has been training full time at Team Alpha Male in Sacramento under the tutelage of UFC Hall of Famer Urijah Faber, had a strong showing over all three rounds. Song was explosive with his spinning attacks trying to catch Morales slipping while exchanging strikes on the feet. 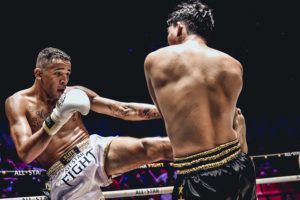 While Song was seemingly landing with more accuracy, Morales did an admirable job keeping up with a volume of strikes and showcasing good movement. 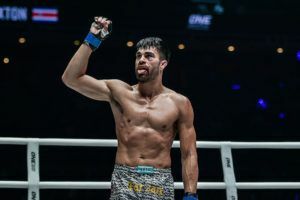 Still, Song was in complete control as he determined the distance and the pace all fight long, even mixing in a takedown in the third round to ensure he was going to leave the cage victorious. 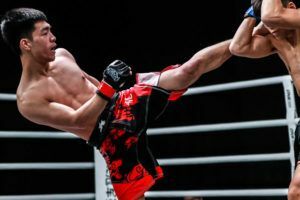 The 20-year old won the unanimous decision while injecting his name as another exciting prospect in the UFC bantamweight division. 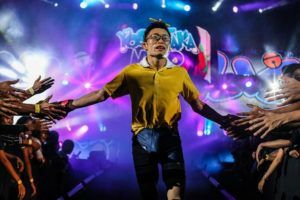 In the fight to kick off the main card, local favorite Li Jingliang (16-5) survived an early knockdown to come storming back with a brutal body kick that led to a TKO finish in the third round. His opponent David Zawada (16-5) started strong in the opening round with a perfectly timed right hand that absolutely blasted Jingliang and sent him crashing to the canvas. Zawada followed up in an attempt to get the finish but Jingliang did a great job recovering while surviving the offensive onslaught to get back to his feet. 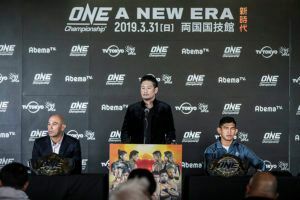 Jingliang mounted a furious comeback in the second round with a much stronger showing as he went on the attack, backing Zawada up numerous times during striking exchanges. Jingliang was stalking forward for much of the round, landing shots in succession and it appeared Zawada may have been fading after a lot of output trying to get the finish early. 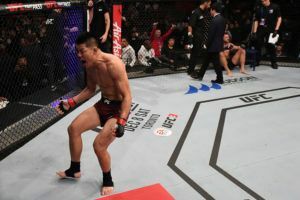 The assault continued in the third with Jingliang taking advantage of his opponent’s waning conditioning with each passing minute. Finally with just over 60 seconds remaining, Jingliang uncorked a nasty side kick that landed flush in Zawada’s bread basket, knocking every ounce of air out of him. Jingliang quickly followed up with a few more punches as the referee rushed in to stop the contest at 4:07 into the third round. Jingliang has now gone 6-1 over his past seven fights with his only blemish coming by decision to Jake Matthews in early 2018. Alex Morono (15-5) traveled into enemy territory and capped off the early prelims with a clean sweep on the scorecards against Song Kenan (14-5). 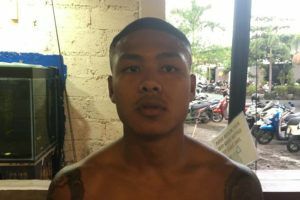 Morono was winging wild punches over all three rounds, constantly head hunting and looking for the finish. Song hung tough and continued to return fire but he couldn’t land with regularity while Morono was on target more often. 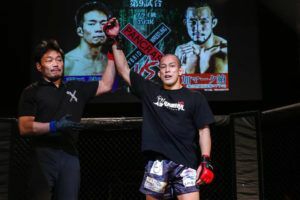 While Morono definitely looked like he had been through a battle — including a cut on his forehead and a bloody nose — he still did more damage to earn the victory after 15 minutes spent in the cage with Song. Flyweight competitor Wu Yanan (9-2) pulled off one of the unlikeliest upsets on the entire card when she handed Lauren Mueller (5-1) the first loss of her career with a slick first round armbar. Mueller was one of the biggest favorites coming into the night but she caught caught on the ground with Wu, who quickly latched onto the armbar to get the tap out at the 4:00 minute mark of the opening round. While he missed weight on Friday, Rashad Coulter (9-4) kicked off his light heavyweight career with a unanimous decision win over Hu Yaozong (3-2). 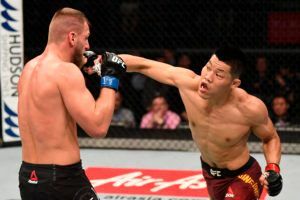 Coulter used a heavy-handed striking attack to batter Hu with punches, especially in the first round where it appeared the American might get the finish. To his credit, Hu survived but didn’t have the gas tank to mount a comeback. Coulter relished his first victory inside the Octagon after dropping his first three fights at heavyweight. 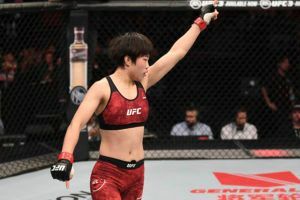 One of the most impressive performances all night long came from Weili Zhang (18-1) as she won her 18th consecutive fight and second straight victory since joining the UFC roster. Zhang absolutely brutalized Jessica Aguilar (20-7) with elbows in the early going, opening up a massive cut on the American’s head as she began bleeding all over the canvas. From there, Zhang locked up a triangle choke before unleashing even more elbows to Aguilar’s head as she attempted to defend the submission. Eventually, Zhang transitioned to an armbar and that’s what ultimately got the job done as Aguilar tapped at 3:41 in the first round. Liu Pingyuan (15-4) survived a broken hand suffered during his fight to pull off a split decision in a back and forth battle against Martin Day (9-3). Kevin Holland (14-4) also picked up his first UFC victory with a strong showing against John Phillips (21-8) as he finished the Welsh middleweight with a third round rear naked choke. In the opening bout on the preliminary card, Louis Smolka made his return to the UFC as a bantamweight and he put on a dominant performance before finishing Su Mudaerji with a second round armbar.